Police have renewed an appeal for witnesses, a year after a woman was raped. 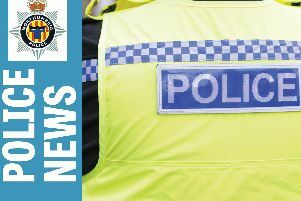 Between 2.30am and 5am on Saturday, February 4, 2017, a young woman was walking along the footpath of the A197, near Morpeth Golf Club in Morpeth, when a man in a car stopped and offered her a lift. She got into the vehicle and after driving a short distance, the man pulled into a lay-by and raped her. The suspect is described as being white, aged in his late 50s to early 60s, short in height and of big build. His hair is described as being short and white or grey in colour. He was possibly wearing glasses and spoke with a local Tyneside accent. He was driving a small to medium-sized dark-coloured car. Specialist officers continue to support the victim and are appealing for anyone who may have any information to contact them. Detective Chief Inspector Helen Anderson, from Northumbria Police Safeguarding Team, said: "It's been a year since this incident and is still very much an active investigation with a number of inquiries ongoing. "We understand the concern incidents like this cause and I'd like to reassure people that we're doing everything possible to trace the offender. "This is extremely distressing for the victim and we're providing as much support as possible at what remains a difficult time for her." Anyone with any information is asked to contact police on 101 quoting reference number 603 05/02/17.